On Friday, February 16, 2018, Deputies responded to a residence in Eads for a disturbance. During the investigation, Deputies found that Matt Mallery had a warrant for his arrest. Deputies took Matt into custody and transported him to the Bent County Jail and was booked and held on a $1,000 bond. On Friday, February 23, 2018, Deputies served an arrest warrant on Carl Birt in Eads. 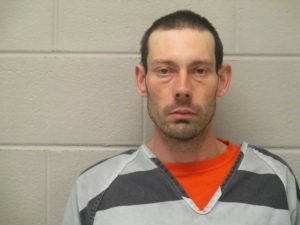 Carl had a warrant for his arrest for failure to appear on drug charges from Finny County, Kansas. Carl was booked and held at the Prowers County Jail on a $7,500 bond.